The infographic, based off the 2013 SilkRoad Employee Marketplace Survey, delved into the minds of 247 job candidates to gather information on topics like where candidates look for jobs, reasons for applying, and types of communication candidates need. So, just what did the data show? A whopping 91 percent of respondents said the job description is the most important type of information on a company’s website. Also, at 86 percent, LinkedIn is the most popular social networking site for job leads. 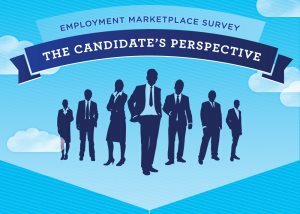 At 86 percent, most candidates still use a computer to search for jobs, while just 9 percent use a tablet and 5 percent use a smartphone. And, according to the data, job hunting isn’t always a smooth process.